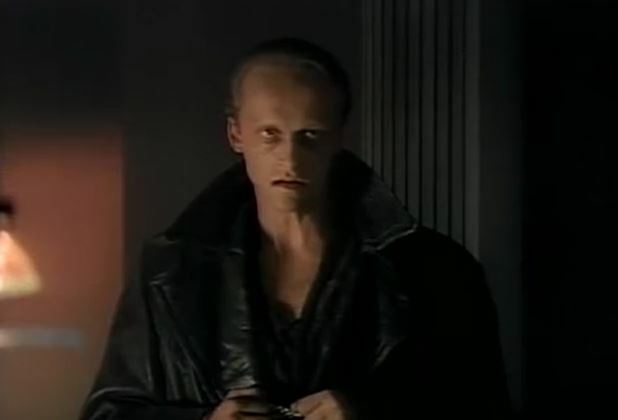 Dracula the Series episode 12, “Double Darkness” introduces a rival for Dracula and growing pains for one of our kid heroes. Cemetery plot: Lucard’s (a.k.a. Dracula’s) businesses around the globe are suffering from what appear to be natural disasters. They’re being caused by Nosferatu, an old enemy Lucard imprisoned years ago and is now free. Meanwhile, Uncle Gustav and young Max visit an archeological site, where Max is smitten by Dr. Cross, a lovely lady archeologist. The twist is that Cross is also a vampire, working with Nosferatu. Lucard and Max form a one-night-only truce to defeat the combined forces of Nosferatu and Cross. King of the vampires: Lucard’s businesses include a South African diamond mine, an oil tanker in the Indian Ocean, and a Korean computer factory, a villa near Mt. Vesuvius, a Tokyo holding company, and an unspecified partnership with a South American colonel known for drowning peasants in a river. Blood brothers: While Max deals with having his first crush, everyone has a good laugh at older brother Chris, who once asked his fourth grade teacher to marry him. Elsa, don’t cross the seal! The new Mina: Aside from a barely-there subplot of her cleaning the house, Sophie does nothing this episode. Stake master: Gustav tries to have a very special talk with Max about Max’s feelings for an older woman, but it doesn’t go well, spurring Max to sneak out of the house to fight vampires on his own. 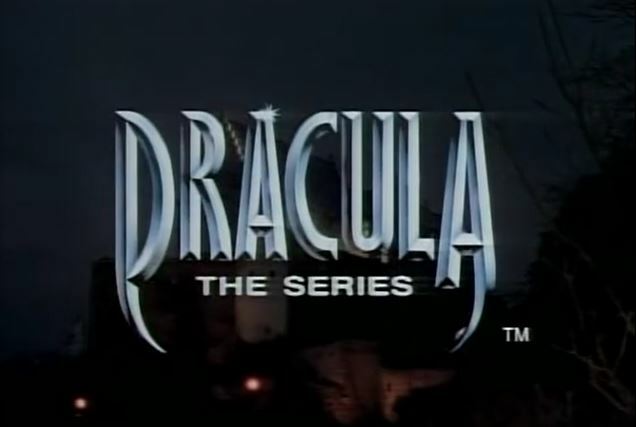 Behind the screams: Dracula the Series’ executive producers were Robert Halmi Jr. and David J. Patterson. Fans of genre television are familiar with Halmi, having seen his name attached to all sorts of things, including blockbuster TV miniseries Lonesome Dove, Dinotopia, and The 10th Kingdom, as well as fan favorite series Farscape and The Secret World of Alex Mack. In 1984, at age 26, Halmi founded the Hallmark Network, which went on to have huge success especially around Christmastime. Patterson was not as prolific, it seems, with a smattering of TV movies in his credits. 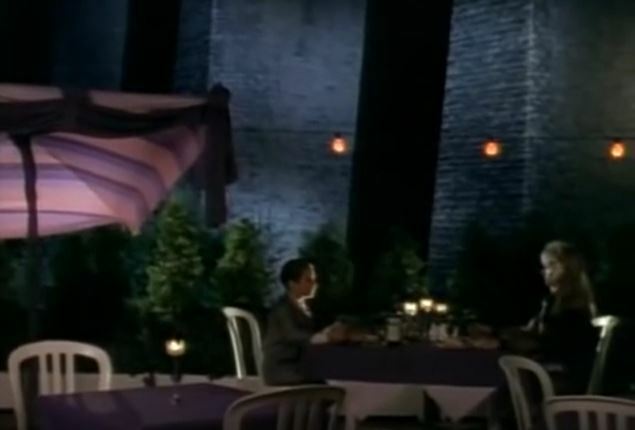 Bite me: I like how this episode introduces a friendship of sorts between Max and Dracula, but other than that, it’s frustrating how the show is falling into a pattern of this-new-character-we-just-introduced-was-really-a-vampire-the-whole-time. Next week: The great WHAT?? ?